Don't see a theme you're interested in? Please indicate up to four colors for inner border. Choices can be different colors or variations of the same colors. For matted keepsakes please select the color of the mat. A distressed whitewash finish can be applied to any wood frame regardless of design or theme choice. A painted outer edge border can be added to this theme. You can either have our pre-written gift card with "This hand painted keepsake has been purchased for you and your baby by: " followed by the name(s) you want on the card or you can create your own message (please limit message to 20 words or less). There is a $4 flat shipping charge for a keepsake with or without a mat and without a wood frame to be shipped to the contiguous 48 states. For a keepsake in a custom hand painted wood frame to be shipped to the contiguous 48 states, the flat shipping charge is $19. For all product shipments outside the contiguous 48 states or overseas, please contact us as to how the shipment cost will be calculated and charged. Since the beginning of the web site, Little Wonders Keepsakes has included the cost of shipping the keepsakes in the price of the product. We use custom shipping boxes made exclusively for us to contain the wood frames with the appropriate amount of bubble wrap to make sure the product arrives undamaged. With rising prices for materials and postage, we now are forced to charge a modest shipping fee. The product prices have not increased. Shipping charges to anywhere in the contiguous 48 states: $4 - flat rate for keepsakes with or without a mat and without a wood frame, $19 - flat rate for a wood frame keepsake. As has always been the case, shipments outside the contiguous 48 states will incur whatever the actual cost of shipping. All products other than the custom hand painted wood frames will normally be shipped within 2 to 4 weeks. You will be notified when your order is confirmed as to the expected ship date. Custom hand painted wood frame orders will normally be shipped within 3 to 6 weeks. You will be notified when your order is confirmed as to the expected ship date. This policy is not intended to be a contractual obligation of any kind and any such obligation is hereby disclaimed. In addition, this policy is not intended to be an advertisement. Rather it is intended to inform Little Wonders Keepsakes customers, of various customer rights and explain how Little Wonders Keepsakes conducts business. 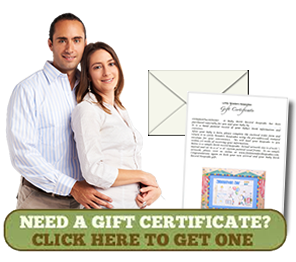 Little Wonders Keepsakes is committed to protecting personal customer information. We value the trust our customers place in our company. Accordingly, Little Wonders Keepsakes adheres to the highest ethical standards in gathering, using and safeguarding customer information. Little Wonders Keepsakes sells personalized gifts for children. Therefore, information such as the child’s name, first address, birth date, and other personal information is obtained from the customer. Little Wonders Keepsakes will absolutely NEVER give this information to anyone outside of Little Wonders Keepsakes unless directed to do so by a court of law within the United States of America. In such a case, it is very unlikely that we would have the child’s information to turn over to the court system since all of the child’s information is kept for a period of time no longer than 90 days. The child’s information is then disposed. If you have questions or concerns regarding our security process please contact us. See “Contact Information” listed below. Little Wonders Keepsakes does not rent, sell or exchange information about its customers. Customers who pay by credit card should know that we do not retain their credit card information. Credit card data will only be handled by a corporate officer or will be received through a credit card validation service. Please note that all information submitted to Little Wonders Keepsakes is voluntary. Customers who would rather not provide such information online should use standard mail or certified mail. Little Wonders Keepsakes has taken all reasonable precautions to have a secure web site developed. However, Little Wonders Keepsakes is not responsible for information which is obtained by individuals outside the company by any means including computer hacking and email theft. To increase security, it is recommended that online credit card users completely close their web browsing application after submitting payment to insure no other users of the customer’s computer access the customer’s credit card or personal information. Little Wonders Keepsakes is committed to reducing junk mail and unwanted telephone solicitations. Your address (including email) and telephone number will never be used by us for any purpose other than to verify product ordering information and to evaluate customer satisfaction. The entire contents of this site are copyrighted under United States law and protected as such. Materials from the littlewonderskeepsakes.com web site may not be copied, distributed or transmitted in any way without prior written consent by an authorized agent representing Little Wonders Keepsakes. Little Wonders Keepsakes does not own the hardware, software, or network which houses this site. Therefore, we are not responsible for incidents beyond our control. Under no circumstances will Little Wonders Keepsakes be liable for any damages or injury resulting from the misuse of products sold by Little Wonders Keepsakes. The materials used to make our products have been examined for harmful ingredients, parts, and contents. All materials have been found to be safe according to information obtained by Little Wonders Keepsakes from the suppliers who provided supported materials. When used appropriately, all of our products appear to be safe. Little Wonders Keepsakes feels that the best prevention against child injury comes from attentive parents. However, for maximum safety we recommend that all products purchased from Little Wonders Keepsakes be kept out of the reach of children unless properly supervised by a mature adult. The products if mounted on a wall or otherwise displayed, should be done in a secure manner and out of the reach of children. Little Wonders Keepsakes believes in providing the highest quality possible in all product lines. Satisfaction is guaranteed. Customers who note defects in workmanship or errors by us should contact us within 1 week of receiving product so that a quality replacement can be sent as soon as possible. Customers who make mistakes when providing information should contact us as soon as possible. Once the painting has been completed, most errors cannot be corrected. Customers who are not satisfied should return the product in original box via certified and insured mail. Payment reimbursement will be provided by check after product is received by us. Reimbursement checks will also include cost of shipping when shipping receipt specifies return shipping cost or upon customer sending us a copy of the shipping cost through standard mail, or email. Returned products must be postmarked for return to us within 30 days of receiving the product. Products not returned within 30 days will not be considered for refund or replacement unless special circumstances apply. These terms and conditions are governed and interpreted pursuant to the laws of the United States of America, notwithstanding any principles of conflicts of law. If any part of these terms and conditions is unlawful, void or unenforceable, that part will be deemed severable and will not affect the validity and enforceability of remaining provisions. Little Wonders Keepsakes can revise these terms and conditions at any time by updating this posting. Payment can be made via credit card that will be processed through Pay Pal. There is no requirement to create a Pay Pal account when paying by credit card. Pay Pal will handle the entire credit card transaction. For those with a Pay Pal account, the payment process is very simple.